Starting April 5, 2015, the City through EmpowerLA requires Board members to read, sign, and submit a Code of Conduct Policy document OR attend an alternative training course specified by EmpowerLA. The link to the EmpowerLA web page on this policy is below. For the online version of the submission, you should print out the policy for your records. At the bottom of the page are fields to put your name, your NC (Sun Valley Area), your email address, and a drawing box to use your mouse (or finger, if using a touchscreen, tablet or smartphone) for your signature, and the date. After you press the Submit button, you will receive an email confirmation which you should keep on file. 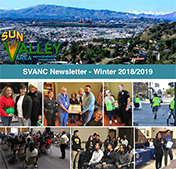 Be sure to forward the emailed or otherwise-provided receipt to the SVANC Secretary so the information can be placed on the SVANC record. For those that are newly elected or appointed, a 30 day grace period is given. EmpowerLA states that they have the authority to suspend a non-compliant board member for 30 days, and if the document is not received by that time, they state they have the authority to remove the non-compliant board member from office. 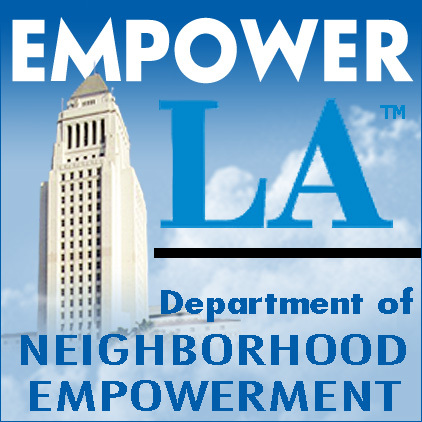 Click HERE to go to EmpowerLA's Neighborhood Council Code of Conduct Policy page.